Some institutions define those who have held this unofficial position as being strictly those women who’ve been the wives of U.S. Presidents or relatives who served as a President’s public partner at social events in the White House or ceremonies. While initially the term “First Lady” was meant to describe the “official hostess” of the White House, over time it has come to include a broader definition. Still, not every institution uses the same criteria to determine just which women members of presidential families would qualify as being called a “First Lady.” The reasons for these different parameters of the term are usually related to the objectives and collections of different institutions. 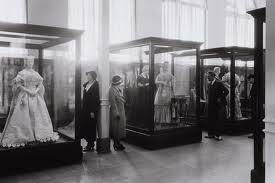 The Smithsonian Institution, for example, is famous for its collection of clothing worn by “First Ladies” (although contrary to popular misconception, not all of these items are Inaugural Ball gowns). This accounts for the Smithsonian’s more limited list of those it considered to be First Ladies. The Library of Congress seems to make its determination by those women whose images are part of their Prints and Photo Division, and it means that some relatively obscure women (like Helen Bones, who is mentioned later on) are included while others more familiar (like Martha Wayles Jefferson) are not. Since the mission of the NFLL is not defined by either the objects or images in its collection but rather the lives and legacies of these women, it is information which largely defines us. Thus, as you will find if you explore the biographies of those representing each Presidential Administration on our website under the “Research” tab, the NFLL identifies “First Ladies” by the most inclusive definition of that now-familiar yet still-unofficial title. Four American Presidents were widowers (Thomas Jefferson, Andrew Jackson, Martin Van Buren and Chester Alan Arthur) yet among three of them (Jefferson, Jackson and Arthur) the posthumous influence which their late wives had on aspects of their political reputations and appointments was significant. That’s the reason why Martha Jefferson, Rachel Jackson and Ellen Arthur (as well as Hannah Van Buren), are classified as First Ladies. This is in addition to the presidential family members who served as hostesses in the White House for these four Presidents: Jefferson’s daughter Martha Randolph, Jackson’s niece Emily Donelson and his daughter-in-law Sarah Jackson, Van Buren’s daughter-in-law Angelica Van Buren and Arthur’s sister Mary “Molly” McElroy. Further, there are several presidential wives who shared some aspects of the public roles played by First Ladies for different reasons. 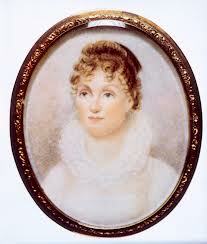 Elizabeth Monroe, who was in poor health, relied on her daughter Eliza Hay to assist her. Letitia Tyler was unable to serve any public role as First Lady since she had suffered a stroke and relied on her daughter-in-law Priscilla Tyler and her daughter Letty Semple to fulfill the public duties of presidential hostesses. Margaret “Peggy” Taylor consciously chose to serve as hostess at private events and although she appeared at public ones, it was her daughter Elizabeth “Betty” Bliss who presided over these events. Abigail Fillmore served in every capacity as First Lady, but with an inability to stand for long periods due to a chronically sore ankle, she was often accompanied or relieved of duties involving receiving lines by her daughter Mary Abigail “Abby” Fillmore. Jane Pierce, who suffered from depression and observed a partial rite of mourning for her son who died just before her husband’s presidency began, was aided by her uncle’s wife and her childhood friend Abby Kent Means. 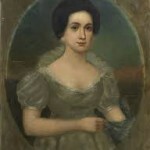 Andrew Johnson’s wife Eliza Johnson suffered from intermittent bouts of tuberculosis. When she was well she appeared at formal public events. 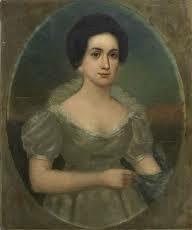 However, it was their daughter Martha Patterson who became the primary hostess of the Administration. 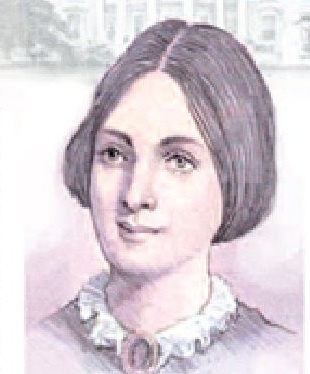 She was aided by her sister Mary Stover. William Henry Harrison’s daughter-in-law Jane Harrison served as his hostess. Although his wife Anna Harrison was alive and expecting to come to Washington, her husband died after serving only one month as President. Besides Letitia Tyler (mentioned above) two other First Ladies died in the White House. Following the 1892 death of Caroline Harrison, her married daughter Mary McKee fulfilled the role of White House hostess for the remaining five months of her father’s presidency. 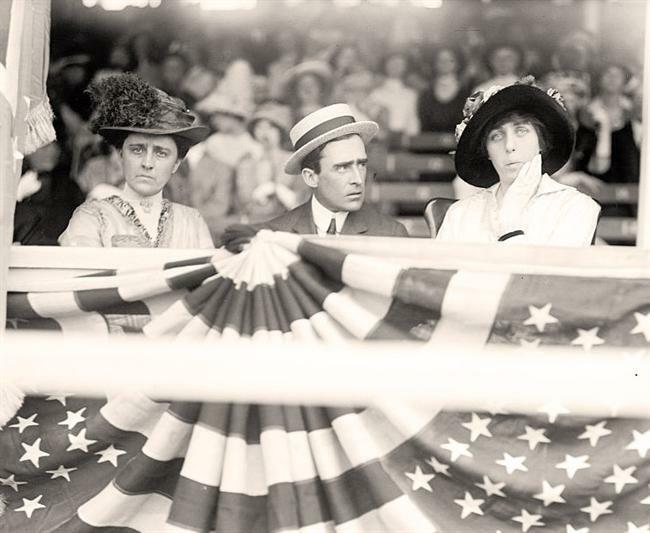 After Ellen Wilson died in 1914, her unmarried daughter Margaret Wilson and the president’s cousin Helen Bones, played the part of First Ladies for him until his 1915 marriage to Edith Bolling Galt. And, lastly, on the National First Ladies Library website, under the research tab where one finds the individual Administration First Ladies, one will also find three women who were wives of Presidents but never served in any role in the White House. The first wife of Theodore Roosevelt, Alice Lee Roosevelt, died before his presidency began and his second wife Edith Carow served as his White House hostess. Also included are Caroline McIntosh Carmichael, the second wife of Millard Fillmore, who was widowed just weeks after his presidency ended, and Mary Lord Dimmock, the second wife of Benjamin Harrison, widowed in the last months of his Administration. And just who is not a First Lady? 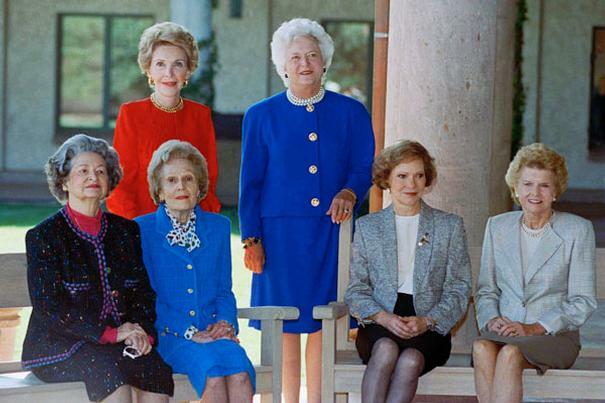 As one learns the details of any presidential administration, a few surprises on the subject of First Ladies will sometimes arise, including several instances where there was what might be called “substitute” or “adjunct” First Ladies. 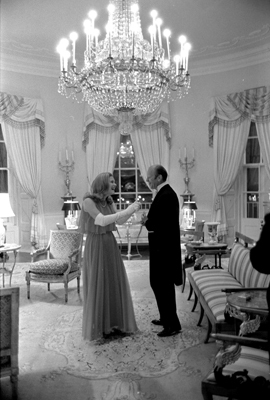 When First Lady Betty Ford was recovering from breast cancer surgery in September of 1974, for example, her daughter Susan appeared with her father at a state dinner held in that period. The First Lady and the Social Office of the White House had planned the event, however, and the President was technically the official host. Susan Ford was there in support of her father, but not to preside as hostess or with a protocol ranking equal to the President that evening. In the year 2000, while First Lady Hillary Clinton was conducting her own unprecedented political campaign for the U.S. Senate seat from New York State, President Clinton made an official state visit to Australia. He was joined by his daughter Chelsea Clinton and while she appeared at several public events alongside him, she did not assume the sort of active schedule of public appearances First Ladies usually make during foreign trips. Like Susan Ford, Chelsea Clinton too was there in support of her father but not to serve as an official sort of First Lady in her mother’s absence. Had Susan Ford and Chelsea Clinton continued to appear with the President on a regular basis they might well have been thought of as First Ladies, but those were the only circumstances of them appearing as escorts of their fathers, the Presidents. 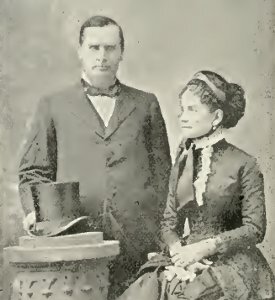 In the years immediately preceding those of Chester Arthur’s presidency, the popular presidential spouse Lucy Hayes had assumed a highly visible public role, even becoming the first incumbent First Lady to travel to the West Coast following completion of the trans-continental railroad. When she hosted social events in the White House, Mrs. Hayes invited visiting women relatives, friends or other political spouses to stand with her on the official receiving line and welcome guests. About sixteen years later, in June of 1896, one of these women who acted as social aides to Lucy Hayes, wife of a former U.S. Congressman, told a reporter that she had served as “First Lady” when the President’s wife had to leave town, a claim disproven by the well-kept records of the Hayes Presidential Library in Fremont, Ohio. The anecdote illustrates the coveted political status held by the few women with legitimate claim to being called First Lady, especially in an era before women were elected to national office on their own. It also reveals the high ambition of the woman who made the claim, even though just nine months after saying it, Ida McKinley would become First Lady in her own right.